More inspiration, patterns and techniques from the legendary author. The latest Barbara Walker Knitting Treasury combines 82 newly-invented stitch patterns in Knit, Purl and Texture, Cables and Traveling Stitches, Lace and more, with a reprint of Walker’s Sampler Knitting including stitch patterns for Basic Shapes in Garter Stitch, Mosaic, Lace and Cable Samplers. Softcover. 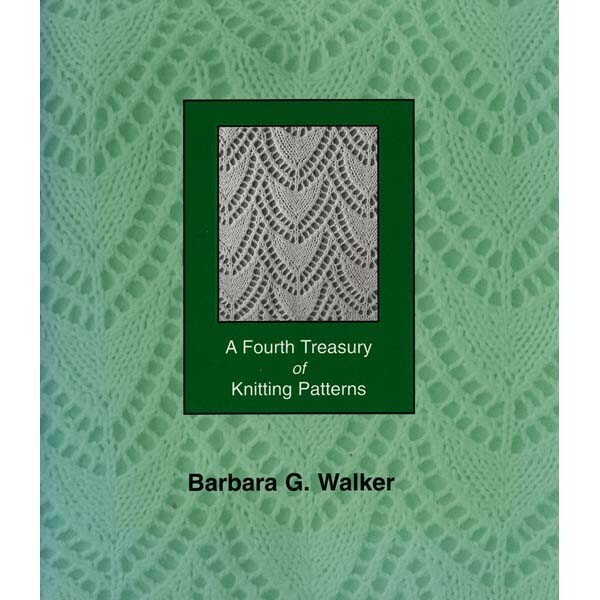 A Fourth Treasury of Knitting Patterns may also be purchased as part of the Treasury set with a 10% discount on all four titles.